One of the biggest complaints I hear about using Facebook to promote theatre productions is that you end up talking to your close-knit theatre community who already knows about your show through other channels. We still use Facebook because the occasional shared link or heavily-commented-upon photo gets seen by the friends of our friends, but ultimately it’s a tiny echo chamber where just a handful of your friends and family get to see your updates. Apparently Facebook hears this complaint a lot, too, because they have an option called lookalike audiences. Let’s say you’re doing a production of a well-known musical like West Side Story. Let’s also say you have a list of people who bought tickets to your productions of other well-known musicals over the last few years. You can load the emails or phone numbers of those people into Facebook, and the system will compare that against the emails and phone numbers attached to existing Facebook accounts. All the matches are grouped together into what the system calls a custom audience. So if you have an email list of 100 people who have bought tickets to your well-known musicals online, you can upload those and Facebook might match say 50 to an active Facebook account. Which 50? You don’t know. All you get to know is you have 50 Facebook accounts belonging to people who have bought tickets from you online. Now you could create Facebook ads and target it directly to this audience. There might be times when that makes sense, but you likely have other, easier ways to reach them. What would really be powerful is reaching out to other people on Facebook who like all the same things as your previous ticket buyers, but with whom you don’t yet have a relationship. Facebook has a lot of information stored about users. Not just age and gender. They also have a lot of information (that we freely give them) about what movies we like, which brands we support, and what type of organizations we interact with online. So Facebook can look for the common threads in any group. Maybe a lot of your previous ticket buyers like Kenneth Branagh, Starbucks, and roller derby. You don’t need to try to ferret those patterns out. Facebook can look for them in the information it already has about your previous buyers. The next step is even more powerful. Facebook can look for other Facebook users that also likes Kenneth Branagh, Starbucks, and roller derby. Again you don’t get to know the names of those people – it would be terrifyingly Orwellian if you did – but you have a group of people that match the profile of a person who has opened their wallet and paid money to see one of your productions before. I’ll be honest. I’m terrified of paid advertising for shows. It seems to me that doing any kind of paid advertising requires trial and error as you figure out what combination of message, offer, and channel is going to resonate with the right people. You learn and tweak as you go, but with each lesson along the way is costing you (sometimes a lot of) money. Most productions are on a limited time frame. How easy would it be to pay for a bunch of advertising up front, and just as you start figuring out what is going to work, the run is over. 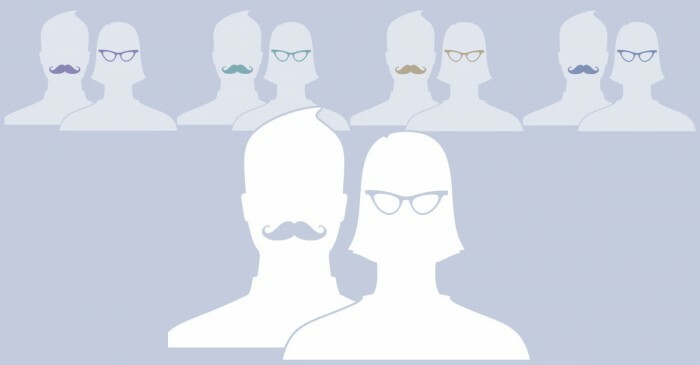 What I like about Facebook ads using lookalike audiences is that many of the variables have been eliminated. You already know that you are getting in front of the right people on a channel they use. If you use Facebook ads (which can be budgeted to literally a few dollars a day) you just need to focus on the message and the offer – which is something you have to be doing with all of your “free” marketing tactics anyway. Facebook’s interface for ads – and especially the power editor where lookalike audiences are created – can be a little confusing. If there’s enough interest, I might create a step-by-step walk-through of creating an ad that goes out to a lookalike audience. You can let me know if that’s something you’d like to see in the comments. In the meantime just know that this is possible. As you think about your budget for future shows, I suggest earmarking even as little as $50 to experiment with this. It’s one of the least expensive and most efficient ways of advertising I can think of. And if you aren’t collecting email addresses of your paying audience yet… start! I would definitely be interested in seeing more information on this. We have looked at using the Facebook Ads in the past, but have yet to fully commit to them. After reading this entry it seems I will have to give them another chance. Thanks, Phillip. I have also looked at them in the past, and when I did I never had much confidence that the money spent was going to get me in front of the right people. Lookalike audiences might change that for me. Cheers!